On the day that Sega launched its last ever videogame console, Dreamcast expert Tom Charnock provides you with a comprehensive guide to the system and explains why, even now in 2015, the machine remains an amazing piece of gaming tech that you should own. I make no apologies here - I absolutely love the Dreamcast and everything about it. The hardware was top of the range in 1998, and the arcade leanings of the vast majority of its triple-A titles are exactly what still makes it such a special machine for many. Quick fire, short burst arcade games with graphics that were light years ahead of the competition back in the late 1990s made it everything a 'next gen' system should have been; but it came and went almost in the blink of an eye. Before the streamers and confetti of the 'most successful console launch of all time' had even settled, the Dreamcast was gone and forgotten by a lot of gamers. The thing is, the Dreamcast may have been dropped by Sega in early 2001 - just three years after it was released - but it never really went away. It was just resting, lying in wait for the renaissance to come; and now in 2015 it looks like the fates have finally begun to look favourably on this also-ran system. Join T3 as we take a look at the rise, the fall and the subsequent resurrection of the most criminally underachieving games machine of all time. Ladies and gentleman, the Sega Dreamcast. November 27th 1998 is a date that holds considerable significance in the long and turbulent history of one of gaming's most famous companies; for not one, but two reasons. On the one hand, that late November day heralded the Japanese launch of Sega's Dreamcast, a gaming system that was championed as the great white hope that would revitalise the fortunes of the firm and usher in a new age of online gaming, arcade-perfect home ports and innovative new hardware and peripherals. On the other hand, it heralded the Japanese launch of Sega's Dreamcast, a gaming system that would eventually bring one of the biggest names in video games to the brink of collapse and mark its complete withdrawal from the hardware market. The Dreamcast was, for the time, a truly revolutionary games console. It was built from the ground up with online functionality in mind, and while it wasn't completely ready to go at launch, the ensuing months and years brought true online gaming to console gamers en masse for the first time. While it's true that other consoles offered online functionality before Dreamcast, they never did so on the same scale. In addition, the sheer number of weird and wonderful peripherals that were promoted to the Japanese game-buying public was bewildering and the variety and range of games (and non-gaming software) that appeared in that first year of Eastern exclusivity was unprecedented. The US release of the Dreamcast came almost a year later on the 9th September 1999, and represented the most successful console launch in history (and a day one software line-up boasting 18 games); and when the PAL machine hit European stores a month later, it seemed as though Sega was on its way to scoring a major hit for the first time since the Megadrive had blast-processed its way into 40 million living rooms and bedrooms nearly a decade earlier. Indeed, for a fleeting period between late 1998 and early 2000, the Dreamcast looked for all intents and purposes like a true contender. Games developed exclusively for the console featured visuals far more impressive than anything on Sony's PlayStation or Nintendo's N64; and the system boasted never-before seen features such as a memory card with its own built-in screen, the aforementioned modem for online play and inventive peripherals such as the fishing rod and arcade stick (perfect for the multitude of 2D fighting games released). It wasn't long before an ominous black slab appeared on the horizon though; casting a foreboding shadow over Sega's little party. A shadow filled with the echoing whispers of 'photo-realistic' graphics, Emotion Engine processors and similar polygon-shifting might to that of a super computer. Yes, Sony's PlayStation 2 was coming, and nothing was going to stop its complete and utter dominance of the gaming landscape. The damage inflicted was almost completely critical from the off – once people knew the PS2 was coming, Dreamcast hardware sales tailed off and many software developers either dropped their support for Sega's format or shifted development to the PS2. The promise of DVD playback and a more diverse library (and the next-gen revival of PlayStation-exclusive franchises like Gran Turismo and Metal Gear Solid) were, by and large, enough to turn the tide in favour of Sony's beast. Sega retaliated by bundling the Dreamcast with a DVD player and dropping the price, but by the time 2001 rolled around the Dreamcast was all but done for and Sega decided to pull the plug rather than haemorrhage more cash trying to keep the system alive. With the announcement and subsequent launch of Sony's PlayStation 2, Sega seemed to go into meltdown. Sega America tried to woo gamers with a bizarre advertising stunt called the Sega Spud Dive (in which members of the public waded through a metric ton of mashed potatoes in order to win a Dreamcast) and later, Sega's main shareholder Isao Okawa even went as far as ploughing $500 million of his own money into the company to save it from bankruptcy, such was the impact that Sony's system had on sales of the Dreamcast. 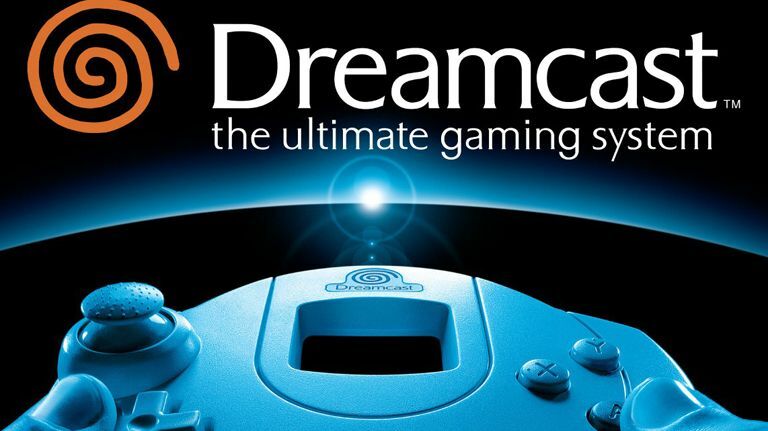 But the writing was on the wall within 18 months of the Dreamcast's release: even with all the fantastic software and innovative peripherals, developer-friendly hardware and relatively sizeable installed user-base, the Dreamcast was dead in the water by the end of March 2001. After receiving another sizeable donation from Isao Okawa, Sega imposed damage limitation measures by announcing, on March 31 2001 that it was ceasing production of the Dreamcast hardware and instead restructured itself to become the third party developer and publisher we know today. The Dreamcast had but three years as an officially supported console – one of the shortest in console history, but the reasons for its failure are not entirely as clear cut as it first seems. Yes, Sony's PlayStation 2 had an undoubted impact, but it's also true that Sega itself was just as guilty of failing the Dreamcast. The console garnered an absolutely stunning library of games in its short life, but the roots of the problem go much deeper than a software library. The way in which the Sega Saturn's cancellation was handled and the often confusing messages coming from the Japanese and American arms of the company burned many gamers all the way back to the Mega CD and 32X eras. In turn, for these reasons Electronic Arts refused to support the Dreamcast from the very beginning fearing that Sega would once again cry wolf and drop support for the Dreamcast if things weren't going well. There are also rumours that EA would only publish for the Dreamcast if they were given exclusivity to supply the format with sports games, but Sega declined having already put work in motion on its own selection of ice hockey, tennis and NFL sims. But this is a moot point as, even with EA's help it's hard to know for sure whether the public thought they could collectively trust Sega not to simply abandon yet another misfiring console at the first sign of trouble. In truth, there are a whole host of reasons that could be held aloft as the reason for the Dreamcast's failure to attain the success that it undoubtedly deserved. The lack of a DVD player, the might of Sony's hype machine, Sega's own track record in the hardware market, the lack of EA support, poor advertising choices in the PAL markets, the ease with which pirates exploited the supposed security measures promised by the GD-Rom format…it's a list as long as the proverbial arm and in truth it is probably a combination of the whole lot that lead the way to self-destruction. In hindsight, 'failure' is perhaps a harsh term to use when describing the end of the Dreamcast's natural lifespan. Even more so when you consider that it took the Wii U almost an extra year to exceed the 10.6 million units Sega shifted in the period that the Dreamcast was supported. Regardless of the sales figures though, during the postmortem years of the mid to late 2000s, a dedicated fan base grew up around the Dreamcast and helped it to gain almost cult status as the little machine that could, but one that was cut down in its prime. Hardware modders, software developers, fan sites and forums are still ablaze with love and dedication to Sega's swan song console and it lives on through this community, a community that is now more active than ever. New games are still being released in 2015 through independent developers and publishers and the open nature of the machine's architecture is allowing the Dreamcast to thrive as the home brewer's platform of choice. While it's certainly true that the Dreamcast didn't deliver as a revenue earner for Sega, it has certainly outshone all of its contemporaries in terms of longevity. As of 2015, there are at least 5 new titles from a range of genres on the horizon, and the Dreamcast's fan-supported lifespan shows no sign of running out of steam just yet. The controller board, as you would expect, is responsible for handling inputs via the myriad peripherals. The controller board also houses the CMOS battery which is used to save the internal time and date settings. If your Dreamcast asks you to set the clock every time you power on, this CMOS battery is dead and needs replacing. Some models of the board also feature the infamous F1 resistor which is known to blow and stops peripherals being registered by the console. This can be solved by tying some wire around the legs of the resistor to bypass it, but if your Dreamcast bursts into flames, don't blame us (warning: don't do this!). The brains of the whole operation, the big cheese. The main board houses the Dreamcast's RAM chips, CPU, graphics renderer and a whole host of other interesting things (if that's your bag). The console has 16MB of RAM at its disposal, with a further 8MB for graphics and 2MB for sound operations. Also on the main board, you will find the Hitachi SH-4 200MHz RISC chip, which is essentially the main CPU. Alongside this, the NEC Power VR2 graphics engine purrs and means that the Dreamcast can quite easily throw around 3 million polygons per second, dwarfing the performance of the contemporary competition. Sega implemented a bespoke format, the GD-Rom in the Dreamcast. Partly as a way to get more information onto the media (GD stands for Gigabyte Disc and can hold 1GB of data), and partly as a way to prevent piracy. This anti-piracy measure was soon cracked and CD-Rs could be played quite easily with no further modification to the console, due to an exploit of the Dreamcast's MIL-CD compatibility. The 12 x GD Drive can often be heard grinding its way through loading screens over the gentle hum of the Dreamcast's internal fan…unless you've removed the drive altogether and replaced it with a far quieter internal SD card reader. As you'd expect, the PSU supplies power to the console. The modular design of the Dreamcast's internals means that you can actually swap the PSUs in models from different regions, and it'll work perfectly with an indigenous plug adapter. For example, putting a UK power board in a Japanese Dreamcast will negate the need for a step down transformer – you can simply plug it into the mains. The main cooling component of the Dreamcast is the internal fan that draws cool air into the case through vents at the rear and out through those at the front right. There are also heat sinks covering the main CPU and these vary wildly in design depending on the model of the Dreamcast. While this system is vital in order to keep the Dreamcast running, the whirring of older models can become invasive. Happily, the newer plastic-cased fans do tend to be quieter than the older metal-cased ones. The Dreamcast has a number of connection options when it comes to getting a picture onto your chosen screen. The system came bundled with an RF cable, but for superior image quality, composite connectors are widely available. For an even better picture, it is advised that you use either S-Video or RGB Scart, both of which work very well. For the ultimate image though, track down a VGA box and connect the Dreamcast to a CRT PC monitor. The serial socket is used by the Karaoke Unit, Neo-Geo Pocket link cable, the ultra-rare console link cable (which connects two Dreamcasts together), MIDI connector for hooking up a musical keyboard and the DreamWire ISDN cable. The modem was the gateway to the internet for the Dreamcast and for many offered the most affordable method of getting online in the late 90s. The Original Japanese system shipping with a 33k modem (as did the PAL variant), but this was later upgraded to fall in line with the US console's 56k modem. Later still, an official broadband adaptor was released but these were available in limited numbers and fetch a high price today. There are efforts from the Dreamcast community to get the system back online today, including a rather interesting Raspberry Pi based project called DreamPi. The Dreamcast's standard controller is an evolution of the Sega Saturn's 3D pad, and features a digital D-pad, analogue thumb stick and triggers, and four face buttons. The hole in the centre of the controller acts as a window through which players can view the VMU (Visual Memory Unit) screen for in-game animations and messages. Users criticised the lack of a second analogue stick and the sharp rear edges, but the official Dreamcast pad still has its fans - earlier in 2015 Greek hardware modder Chris Diaoglou created the first Bluetooth-enabled controller, the DreamConn. The VMU, or Visual Memory Unit is the Dreamcast's storage device. Containing 200 blocks of memory (128KB in real terms) for saving game progress and high scores, the VMU could be removed from the controller and used independently via the face buttons and built in 48 by 32 dot matrix screen. Many Dreamcast titles allowed players to download mini-games onto the VMU which could be played on the go, and two units could be docked together for data transfer. The only down side to this incredible little device? The ridiculously short battery life provided by the two CR3032 batteries. Does your Dreamcast beep when you turn it on? That's the VMU helpfully notifying you that its batteries need replacing. Bundled with arcade port The House of the Dead 2 in Japan and Europe, the official Dreamcast Gun never saw a release in the USA due to Sega's reluctance to position the Dreamcast as a console with a violent image. Nonetheless, third party developers filled the void with a whole range of alternative light guns. Also compatible with the jolt pack, the interesting positioning of the slot allows for some great mock reload actions, should you wish to engage in such activities! The Dreamcast arcade stick was released with the intention of allowing gamers to feel like they really were playing arcade titles in the home. Featuring a clicky micro-switch stick and six large face buttons, the arcade stick is the perfect way to play 2D fighters and shooters. Those with the technical knowledge and too much free time have been known to swap out the stock buttons and stick for a more pimped visual style. The Twin Stick was only ever released in Japan and officially only supports one game - Virtual On Oratorio Tangram. Mimicking the arcade cabinet, when combined with this mech combat title, the Twin Stick allowed more complete control over the battling robots. Interestingly, inquisitive Dreamcast owners may find that a whole host of other 'unofficial' titles are also supported, many with outstanding results (see first person shooter Outrigger for further information). The Dreamcast Karaoke unit slots onto the bottom of the console and connects via the modem port. The modem then slots into the corresponding space on the karaoke unit and it was through this awesome-looking augmentation that Japanese subscribers to Sega's online music service could download songs (from a selection of thousands) to sing along to through the bundled microphone. The service is no longer available, rendering the Karaoke Unit pretty useless, but back in the early 2000s it was very popular. Song files were downloaded to the VMU one at a time and up to four different singers could join in as the music played and words scrolled up the TV screen. A video download service was also available for broadband-equipped Dreamcasts. This microphone differed from the one bundled with the Karaoke Unit in that it connected to the controller via the second VMU slot and allowed real-time communication during online multiplayer games. Perhaps the most interesting use for this peripheral though, was when it was paired with Caution: Seaman, a terrifying virtual pet simulator in which you were encouraged to hold conversations with your own personal man/fish mutant. A warning: never feed Seaman after midnight. The Dreameye was a VGA digital camera that also doubled up as a web cam. Another Japan-only peripheral, video chat was possible via the Ch@b online service. As well as the video-streaming capabilities (and a max photo resolution of 0.3 megapixels), the Dreameye was bundled with a software package called Visual Park and this contained a basic photo editing package (powered by Photoshop, no less) and several photo-based mini-games. Apart from the Gameboy Camera, the Dreameye was the only other console camera at the time of release and there are two different colour variations - a blue and white standalone variant, and a translucent green model that came bundled with the rare Divers 2000 all-in-one Dreamcast/TV combo. Sega's last foray into the handheld market was the Sega Nomad, a US-only handheld Megadrive that chewed through batteries at a faster rate than a Tazmanian Devil would chew through your front door. Rather than launch their own new portable to coincide with the Dreamcast, Sega partnered with SNK to incorporate connectivity with the Neo-Geo Pocket via a system link cable. This device allowed a handful of games to communicate with each other (most notably, several King of Fighters games) in order to swap game data and unlock hidden features. The Dreamcast mouse and keyboard were intended to make surfing the internet a more enjoyable experience than doing so with the standard controller ever could be. Further to this though, many games added this combination of peripherals to the standard control options so you could play first person shooters like Quake III Arena and Soldier of Fortune with more accuracy. Several typing games were also released, the most notable being a take on The House of the Dead 2 – The Typing of the Dead – where keyboard accuracy would dispatch zombies rather than virtual bullets. Evidence if ever there was, that words are mightier than the sword (gun). The fishing rod controller made games like Sega Bass and Marine fishing slightly more appealing to those Dreamcast owners that weren't overly interested in the real world sport, and it featured motion detecting apparatus inside so that the game would recognise the angle at which it was being held. It was some time later that compatibility with Namco's Soul Calibur was discovered, and this led to fishing rods around the world being swished through the air while ornaments were moved to new, safer locations. An interesting side note to this is the relatively recent revelation that (the now defunct) Midway Games was working on a true motion detecting controller for the Dreamcast, long before the Nintendo Wii appeared. Only one game makes use of the Dreamcast maraca set – Samba De Amigo. Samba is a fun dancing game that also includes a pressure sensitive dance mat and encourages players to mimic the actions of the onscreen characters; and a sensor bar detects the position of the maracas. Unfortunately, there were no other games that made use of this wacky add-on, although a second edition of Samba was released in 2001 with extra music tracks. Behaving in much the same way as Nintendo's Rumble Pak accessory for the N64, the Jump Pack fits into the second slot on the Dreamcast controller and allows for basic force feedback in compatible games. The rumble effect comes from a weight inside the device that spins at different speeds, creating a more interactive gameplay experience. Several third party versions combined memory and rumble features into one add-on. The Dreamcast's official steering wheel is an interesting device. Unlike many steering wheel controllers from the era, it doesn't have a gear stick or pedals but some early versions do have a connector port on the rear for a set of pedals that never appeared. There's a slot for a VMU on the right and the wheel itself has a nice level of turning resistance thanks to the large piece of elastic wrapped around the internal steering column. Never released as an official product in the US, the Race Controller was instead licensed by Agetec and marketed as the Rally Wheel. The oddly-named Divers 2000 Dreamcast was a 1960s inspired all-in-one TV and Dreamcast that featured sound-responsive lights built into the case that would flash in time with music. The Dreamcast is only accessible with the bundled infra red remote control, so if you lose that, you're pretty stuck. Interestingly, the Divers 2000 was positioned as more of a communication device and came complete with a keyboard, microphone headset and a Dreameye camera for web chatting. Toyota (yes, the car manufacturer) teamed up with Sega to offer car buyers the opportunity to virtually test drive any of the vehicles in its range…by using a Dreamcast. These demo discs were intended to showcase the various Toyota models and gave all kinds of information on vehicle performance and featured various videos and photographs. Not an oddity in himself, it's more the use of Mr Yukawa, Sega's Senior Managing Director as a sort of mascot to advertise the Dreamcast. The series of TV ads he appeared in were a roaring success and led to Sega using his image on Dreamcast console boxes. There was also a game produced starring the venerable businessman, he had a cameo in the NTSC-J version of Shenmue and he even released a pop song…about the Dreamcast. Only in Japan. Very little is known about this utterly bananas-sounding service, but from the small amount of information out there Saibai Net appears to have been a portal for buying and selling fruit and vegetables via the Dreamcast's internet connection. Sega entered into a partnership with financial services firm Nomura in the early 2000s to launch Nomura Home Trade - an online service that allowed Dreamcast owners the opportunity to buy and sell stock and shares. The service no longer exists, but these Nomura Home Trade discs are now extremely rare as they were never sold to the general public. Perhaps the most intriguing thing about the Nomura disc is that the artwork was done by late The New Yorker cartoonist Lou Myers. If only it were true-ooh. Yu Suzuki's Shenmue hit the headlines earlier in 2015 when it was revealed that the trilogy would finally get a finale on the PlayStation 4 through Kickstarter, but for those who want to discover what Shenmue is all about then look no further than the original two instalments on the Dreamcast. Playing as Ryo Hazuki, Shenmue is a wondrous adventure through the 1980s that straddles the action-RPG genres with aplomb. The story is engaging and the locations are beautifully realised - Shenmue was a real showcase for what the Dreamcast was capable of. It does have its slow sections and annoying mini games (look out for the warehouse job in Shenmue II), but the good far outweighs the bad. It really feels as if you're wondering around in a living, breathing world, searching for the mysterious Lan Di and answers about the death of Ryo's father. Truly epic. Namco showed the world what the Dreamcast hardware was capable of when it brought Soul Calibur to the home in 1999. The amazingly simple gameplay blended perfectly with visuals that were actually superior to those seen in the arcades to produce what is widely believed to be one of the best fighting games of all time. Easy to pick up, but equally difficult to master, Soul Calibur represents the pinnacle of 3D fighting on the Dreamcast. If ever there was a game that could condense the late 1990s into a single player experience, it is Crazy Taxi. Featuring a soundtrack almost completely dominated by The Offspring and a pseudo open world in which passengers must be delivered - at pace - to HMV in order to buy a minidisc (probably), Crazy Taxi laid out the blueprint for myriad other games in this mould. There was an equally good sequel on the Dreamcast, but the original is the go to version for a 10 minute arcade blast. A racing game based in the real-world locations of London, San Francisco and Tokyo, with the Dreamcast's internal clock controlling the time zones so that lighting was correct depending on where you lived? Welcome to Metropolis Street Racer. The developer Bizarre Creations reportedly took 25,000 photographs of each city in order to accurately model each district, right down to the heights of the curbs. Even if this isn't true, MSR was groundbreaking at the time. It plays a mean game too, and was the basis for the Xbox series Project Gotham Racing. Also note the Gotham/Metropolis link, comic fans. After the success of Super Mario 64 on the N64, it would have been rude for Sega not to indulge Sonic with his own fully 3D platform adventure on the Dreamcast. The game certainly excited many gamers on release and while it is far from perfect, it was incredible to finally play a proper Sonic game in three dimensions. Sure, Sonic had been rendered in polygonal form prior to Adventure (see Sonic Jam, Sonic Fighters and Sonic R for further information) but it was here that he was joined by a full supporting cast, a proper fleshed out single-player quest and the ability to nurture Chao - a Tamagotchi-style virtual pet in the VMU. A surreal blend of dance music, shoot 'em up and stylised wireframe visuals, Rez is a title that really transcends the notion of 'genre.' The game is set inside a computer network and tasks you with travelling through layers of security in an attempt to vanquish the corrupt AI at the core. Massive boss battles, ridiculously good music and absolutely stunning visuals make Rez a must-play on the Dreamcast. A virtual pet simulator narrated by the late, great Leonard Nimoy where you had to nurture a bizarre human-faced fish. The real kicker was that you could actually hold conversations with your Seaman through the bundled microphone. The voice recognition is hit and miss and the conversations do get repetitive after a while, but back in 2000 speaking to your games console was unheard of (and still is today if you try to use Kinnect). An early attempt at creating a completely virtual celebrity in main protagonist Ulala, Space Channel 5 is a rhythm action game with funky 1960s inspired aesthetics and catchy tunes. There's little more to it than repeating the actions of the enemies - the invading Morolians who are intent on taking over the Earth by making people dance against their will - but Space Channel 5 is a lot of fun. There's also a cameo from Michael Jackson for some reason. Blast around the brightly-hued locales of Tokyo-To on battery-powered rollerblades, tagging walls, rooftops and street furniture while avoiding the clutches of the local constabulary. That's Jet Set Radio in a nutshell. The game wowed on release with it's superb cell-shaded visuals and impressive soundtrack. Sega changed the name to Jet Grind Radio in the US to avoid confusion with the band Jet Set Satellite, and the city of Milwaukee tried to have the game banned as it (apparently) glamourised graffiti and vandalism. There are many sites and communities online still supporting the Dreamcast and if you'd like even more reason to get involved, start your journey by checking out these sites.